Newcastle Midfielder Yohan Cabaye Linked With Move. | The Transfer Tavern | Where football transfer rumours fly or die! Newcastle Star Cabaye Set For New Pastures? Newcastle midfielder Yohan Cabaye is reported to have been a summer transfer target for several top Premier League clubs, including an enquiry by Tottenham Hotspur. The French midfielder, who joined Newcastle at the start of last season, proved to be an incredible acquisition for the North East side, notching up nine assists, 34 league appearances in the previous campaign. His exceptional performances have not gone unnoticed, with the likes of Manchester United, and Arsenal linked with a swoop for the international. 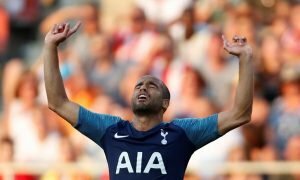 Now it appears Spurs made a formal approach for the play-maker, in hopes of him being their direct replacement for the departing Luka Modric. While no move officially materialised, the rumours will continue to circulate throughout media outlets over Cabaye’s future, but where would the Frenchman be better off out of Arsenal, Manchester United, Spurs, or his current club Newcastle? Out of all these options, United would be the worst option for him, due to the fact that United already signed someone who can play in his position in Shinji Kagawa. Not only that, they also have the likes of Cleverley, who can also play in the role of play-maker. Despite Yohan’s class, he may struggle to see regular first team football at Old Trafford. That leaves the two North London clubs as two sensible destinations. Out of the two, Spurs need him more than Arsenal, as they haven’t replaced Modric. With the Moutinho deal falling through due to some third party issues, and a transfer for Willian failing to materialise, Cabaye ticks all the right boxes to fill the gap in the Spurs midfield. He has already proven himself as a fantastic midfielder in the Premier League, being one of the key players as Newcastle defied the odds to finish 5th in the league last season. On top of that, his price should not be much different from the Moutinho transfer that fell through. With a cited offer of £22 million for the Portuguese international circulated, it would not be too far off the mark to say that Cabaye would cost a similar amount. Of course this will be without the third party element that Spurs chairman Daniel Levy was reluctant to deal with, another added bonus. 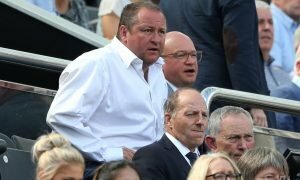 Of course, he could stay at Newcastle and continue to develop his career at a club that is brimming with talent. He has his team-mate in Ben Afra with him there, as well as a formation that is well suited to his style of play, which allows him to feed killer passes to the likes of Ba, and Cisse. 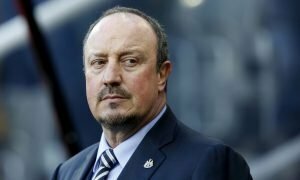 While the lure of regular challenges for Champions League positions will appeal to him sooner or later, at Newcastle, he has the chance to allow his already large reputation to grow further. Who should Cabaye play for? Leave your comments below.